One of the more familiar faces at Google is leaving the company to join a Chinese phone maker. 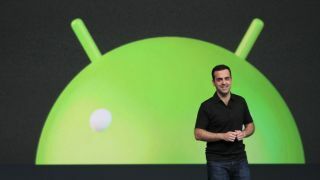 Hugo Barra, vice president, Android Product Management at Google, is taking off to become vice president at Xiaomi Global. Barra was a fixture at Mountain View events, such as IO, and product unveilings, including introducing the new Nexus 7 and Android 4.3 last month. "After nearly five and a half years at Google and almost three years as a member of the Android team...I have decided to start a new career chapter," Barra wrote on his Google+. "In a few weeks, I'll be joining the Xiaomi team in China to help them expand their incredible product portfolio and business globally...I'm really looking forward to this new challenge, and am particularly excited about the opportunity to continue to help drive the Android ecosystem." Xiaomi uses a heavily customized version of Android in its handsets. Google confirmed Barra's departure to AllThingsD before he took to Google+, with a company rep stating, "We'll miss him at Google and we're excited that he is staying within the Android ecosystem." In other words: Best of luck Barra, and thanks for keeping it in the family. Barra is the most recent high-level Android exec to put in his notice. In March, Andy Rubin, head of Android and developer of the system, stepped down to start "a new chapter" at Google. As ATD postulated, Barra's exit relatively soon after Rubin could cause shakiness in Team Android. There's no word yet on a Barra replacement or how his duties will be covered. BlackBerry is another company in flux, but it appears a new phone, the Z30, is in the offing.